Pet ownership brings with it a number of responsibilities. Owners are required to ensure cats and dogs are identified by microchip by the age of 12 weeks and registered by the age of 6 months. 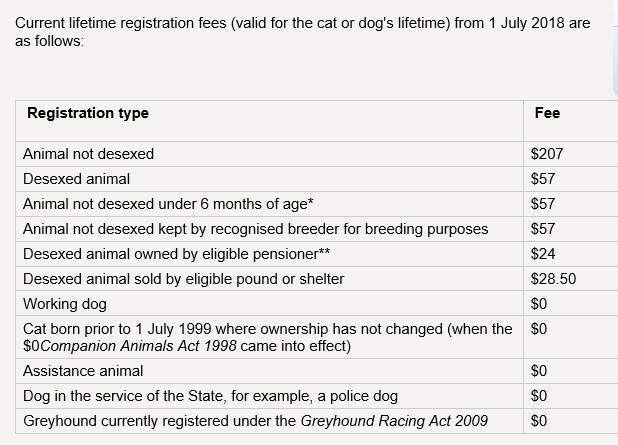 Any person wishing to register a dog or cat can do so at either of Councils Offices. You will need to bring with you any necessary documentation such as microchip details, sterilisation certificate, breeder’s card or pension card. Please note that microchipping is not registration. If your animal is impounded, it will be kept for 14 days if the animal is microchipped, if the animal is not microchipped and nobody has come forward to claim ownership, then the animal can only be kept for 7 days. Rangers can be contacted on 0417 465 228 (Cootamundra) or 0407 894 269 (Gundagai).